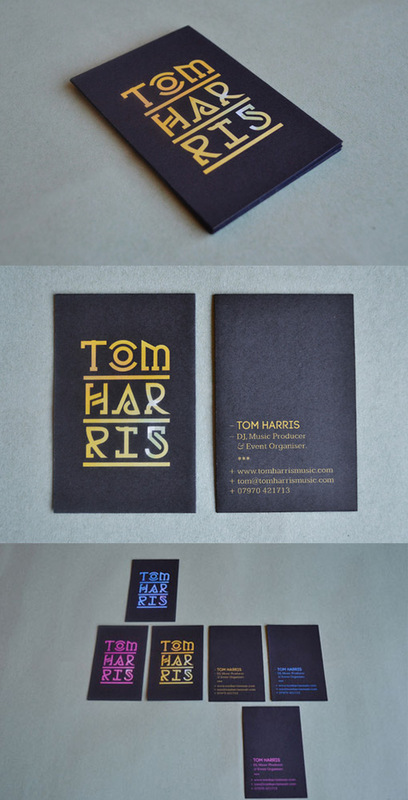 Card designed for local DJ and music producer Tom Harris. In this industry business cards are often handed out at night clubs and in dark locales with low light, so high contrast colors were chosen to stand out. The typography is one of a kind and the color is accentuated in certain areas inspired by a rope-light.